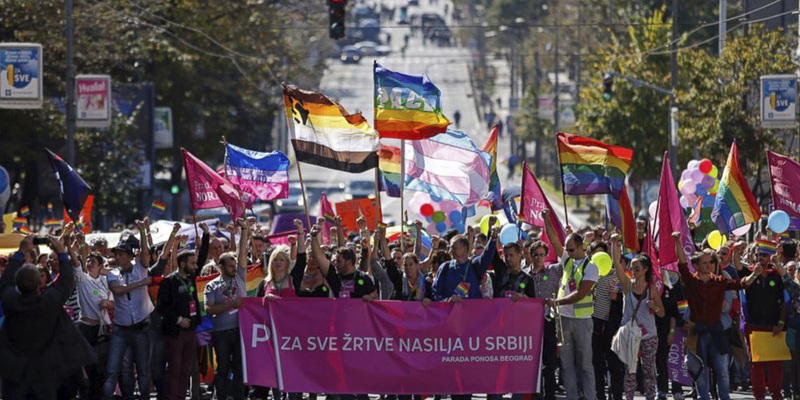 This Sunday saw the streets of Belgrade painted rainbow bright as the first lesbian prime minister Ana Brnabic marched with the Serbian LGBTQ community at the city’s pride festival. They were led through the streets by armed police officers securing the activists’ safety in the fairly conservative Balkan region. This marks the first time that a PM has made an appearance at Belgrade Pride. As many people paraded through the town, other elected-officials joined the event in a more politically-charged sense. Serbia has gone through a recent shift towards a more progressive state’s rights record in the country’s appeal to join the European Union. 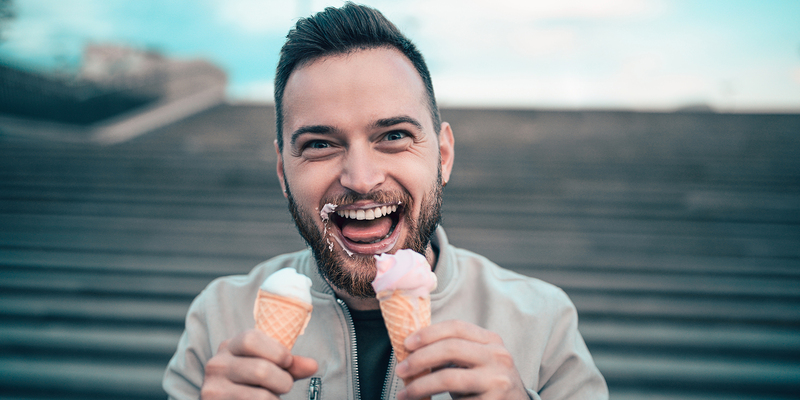 Brnabic’s election in June of this year marked a major step in the right direction for the countries LGBT rights record. 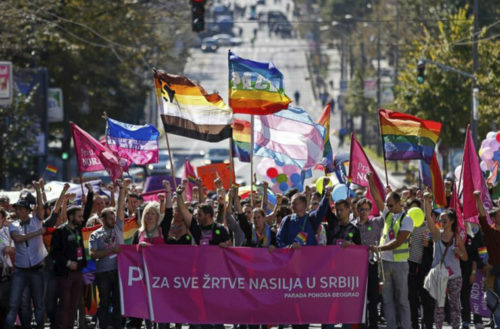 As of last year, the EU had made a statement about the need for Serbia to increase protections for its LGBTQ citizens. The parade was met with much celebration, although groups of conservatives and religious protesters were seen advocating against the march. Carrying rainbow flags, balloons and a banner reading, “For change,” pride participants walked through the capital, Belgrade. “Today we walk together and together we will stress that problems still exist and that we want to work together to solve them,” said activist Goran Miletic.